The guys over at Quirky are at it again with their cool designs, this time it is an accessory for the Apple iPad, the Quirky Cradle iPad Lapdesk. 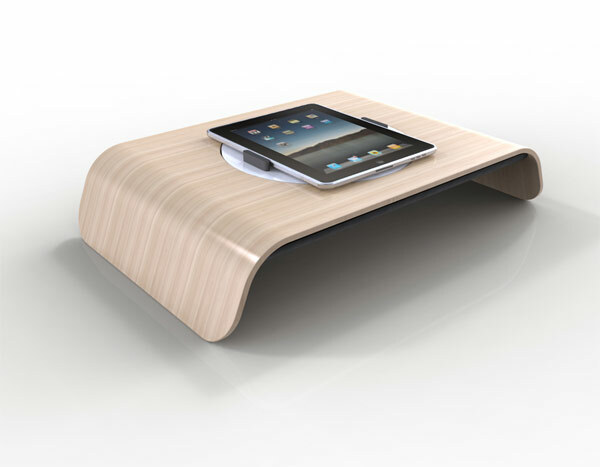 The Quirky Cradle iPad Lapdesk is made from Bamboo plywood, and is designed to be used on your lap whilst you are sat on the couch, it features an integrated circular plate where you place your iPad, and the plate can be rotated into both portrait and landscape modes. Love your iPad but hate that you can’t comfortably use it while lounging on your couch or lying in bed? Boom – problem solved. The Quirky Cradle is a portable, lightweight lap desk for your Apple iPad. The Quirky Cradle iPad Lapdesk is available to pre-order for $52.50 from Quirky.